The University Medical Center Groningen is one of the largest university hospitals and the first in the Netherlands with an integrated state of the art photon+proton academic radiation oncology department. Currently, radiotherapy treatments are provided for over 4,500 patients annually in the Department of Radiation Oncology. The department is part of the UMC Groningen Comprehensive Cancer Center, with 21 multidisciplinary tumor boards, and provides the highest level of oncologic services. The department is actively involved in patient care, research, education and training. 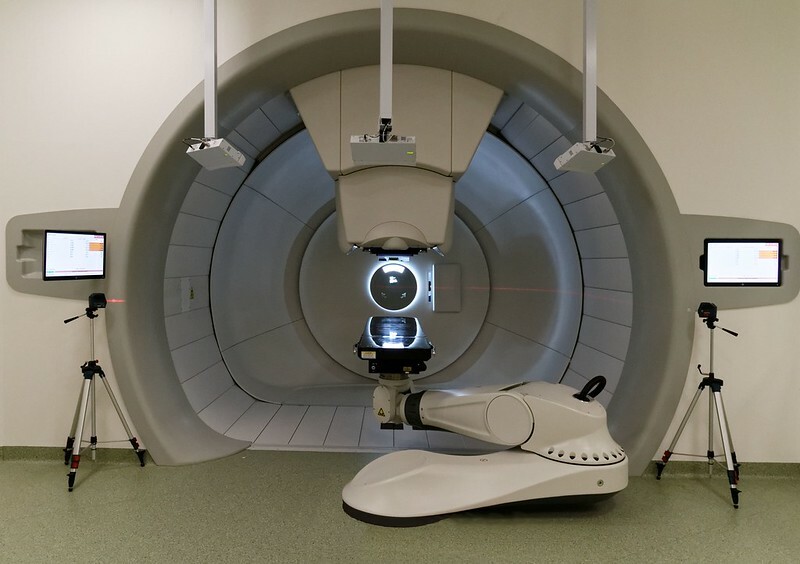 The UMC Groningen Proton Therapy Center, part of our Department, started to treat patients with IBA pencil beam scanning technology in January 2018. Medical Physics and Instrumentation is a a division of the Department of Radiation Oncology that currently includes over 50 people: 17 medical physicists, physicists, physics residents, IT engineers, accelerator engineers, PhD students and post-doctoral fellows. The group is responsible for the quality and safety of clinical dose delivery and is committed to development and innovation of radiotherapy technologies and treatment techniques. This group is at the forefront of a variety of projects related to equipment, techniques and procedures for our proton and photon therapy facilities, in multi-disciplinary teams. Major developments are related to imaging, proton beam delivery, robust and adaptive treatment planning, positioning and dosimetry verification. The opening of the Proton therapy Center and the innovative character of our projects, which include both development and scientific research, require a further expansion of the Medical Physics group. The most advanced equipment is applied for this purpose, in particular 10 Elekta and Brainlab/Varian linear accelarators, 2 IBA proton pencil beam scanning technology gantries, 2 CT’s, MRI, PET/CT, RaySearch Treatment Planning and Elekta HDR brachytherapy . Responsibility in further deployment of proton and photon therapy in Groningen. Development of procedures and techniques for photon and proton treatment. Participation in quality assurance of equipment and procedures in radiotherapy. The UMCG has a preventive Hepatitis B policy. The UMCG can provide you with this vaccination, should it be required for your position. In case of specific professions a ‘Certificate of Good Behaviour’ is required. Your salary will be a maximum of € 6.665,- gross per month (scale 14), depending on your qualifications and relevant experience, based on a full-time appointment. In addition, the UMCG will offer you 8% holiday pay, an 8.3% end-of-year bonus and a development budget. Terms of employment according to the Collective Agreement (CAO) for University Medical Centers in the Netherlands. Please use this digital application form for your application - only these will be processed. You can apply until 31 December 2019. Immediately after the digital application form has been submitted, a standard confirmation of receipt will be sent by e-mail with information relevant to this vacancy. The closing date listed above does not apply to this vacancy. Your application will be sent directly to the department. The vacancy will remain on the website until enough suitable candidates are found.